TEMPORARILY OUT OF STOCK, PRE-ORDERS BEING TAKEN. Audax TW025AO with 12 x8 rectangular faceplate. Specially made for Falcon by Audax. This direct replacement combines the high-quality 2015 manufactured 8 ohm 25 mm voice coil TW025A0 tweeter with a precision Falcon Acoustics matching rectangular faceplate. 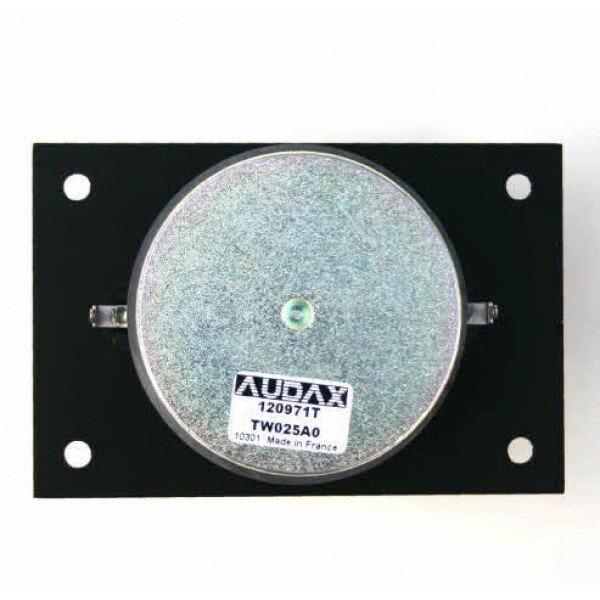 It is a direct replacement for the classic Audax 12 x 8 faceplate version of the HD12 x9D25 directly made by Audax for numerous OEM manufacturers such as IMF TW1500F but with improved performance. 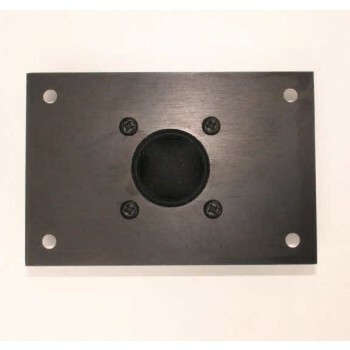 Will also directly replace most OEM, PEERLESS DT10 HFC, PEERLESS KO10 DT rectangular faceplate tweeters with 12x8 face plates used by CELEF, Radford, Monitor Audio, Mordaunt Short, Bowers & Wilkins, Dalesford etc. We recommend replacing in pairs if possible for consistency. Opposing terminal version no longer available, so will require minor modifications to existing cabinet cutouts.